My name is Rusty Dyles. 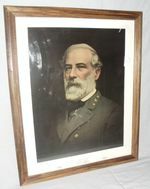 I am from Thomasville, NC and I do historical impression of Lieutenant General Thomas Stonewall Jackson. 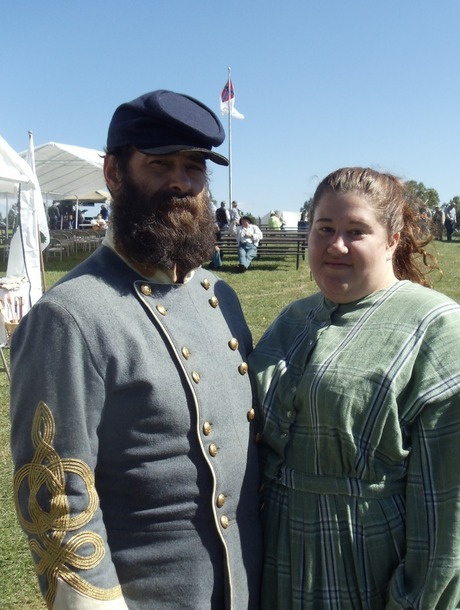 I began doing Civil War reenactments’ several years ago with my father. In the years since I met my wife (April) and many friends along the way. One of these friends Tony Hoglan portrayed Thomas Jackson and upon his retirement he asked if I would pick up the mantle and carry it based on my strikingly similar appearance to the actual historical figure, and willingness to learn history. The JEB Stuart Birthplace holds a dear spot in my heart. After my father passed in 2010, the JEB Stuart Trust allowed for a cannon ceremony in his honor at the reenactment. Then in 2012 I married my wife during that year’s event. We enjoy it very much and hope to spend many years to come supporting the JEB Stuart Birthplace annual reenactment. For more information you can or to have Lieutenant General Thomas “Stonewall” Jackson at events you can contact me at ThomasJJacksonLTG@gmail.com or find me on Facebook.